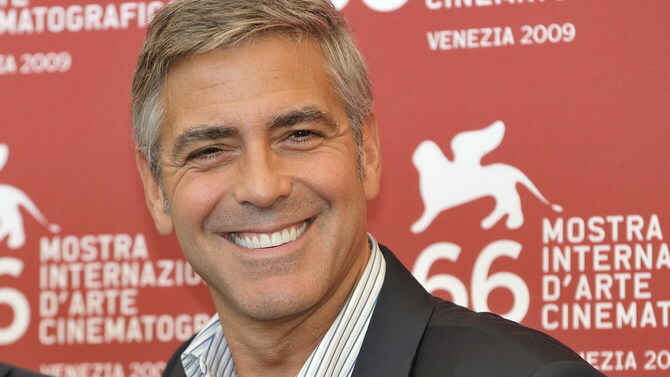 After actor George Clooney called for the U.S. to take in more refugee migrants, he got an unwelcome surprise at his Italian resort -- a large influx of migrants setting up camp outside. Clooney's Lake Como resort, which is a popular destination for celebrities including Madonna, Richard Branson and Clooney himself, became the makeshift home of hundreds of migrants heading towards Northern Europe. The migrants set up camp on the property, putting up tents around the resort's train station and staying there. "We are helping them with food, clothing and we are also mounting showers," Roberto Bernasconi, a representative from a local Catholic charity, told The Sun. "But it is very difficult, we do not know how to welcome all these people. In the Como diocese, we have over 2,000 migrants in the facilities -- there is no room. I do not know how much longer we can bear the brunt of this mass of people who would like to cross the border but who are not willing to leave Como." Many readers commented under story on the site's Facebook page, challenging Clooney and his wife, Amal, to put their money where their mouths are and welcome refugees onto their properties and into their homes. Come on Clooney's, open up your bedrooms to the immigrants -- now that you are expecting twins, I'm sure they'll be willing to help out in exchange for a safe haven! How can you refuse? You have the resources, money and room! one reader commented. You'd think since they only spend a month a year there they'd be able to let it be used for the other 11. Ya know cuz they care so much. So they are just like the basement in moms house libtards. Seams libtards are the same we want them. We just don't want them with us. Hmm how liberal is that. Ok, just divide them up... some to JK Rowling, some to Clooney (both in Hollywood as well as his vacation homes, some to schumer, some to Bernie, some to Elton John, some to Ashley judd, some to all three Obama houses, some to harry Reid, some to Meryl Streep, some to rev al, some to Rahman Emmanuel, some to gov mansion for jerry brown, terry mcauliff, some to bill and hil....see? Asylum seekers problem solved.